Two and a half years later, Little Maverick still loves his snuggie, which simply makes my heart melt. If you knit, crochet, or sew, please keep your local shelters in mind and donate some snuggies. They are a great way to use up leftovers, and Mavie is proof that not only do they help comfort during transition, but for many, many years to come! 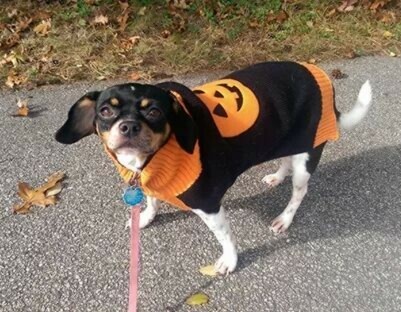 Rosie got into the Halloween spirit and was as cute as a pumpkin, don't ya think? Booth recently got to go to work for the day with his Mom. Doesn't he look so proud? 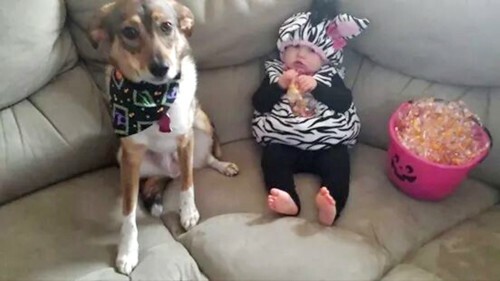 Harper celebrated Halloween with her little human sister, and showed her how much fun it is to hand out treats. 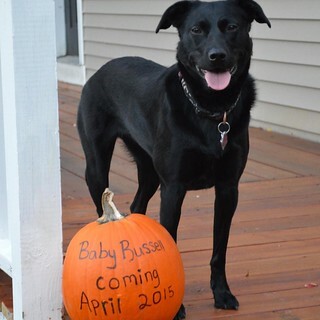 Speaking of little human siblings, Izzy took pumpkin decorating to a new level when she shared her exciting news with the world... she's going to be a big sister in 2015! As I said, I just love watching my former foster babies grow, and now I get to watch their families grow as well! WOW, looks like you had a great halloween - super good costumes too. M is thinking maybe she'd make some of those snugglers for our animal shelter. That is an adorable picture. You're right about the blankets. 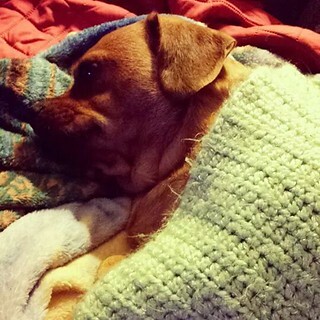 Fudge arrived with a blanket smelling like his Mom and sibs. He carried it around till there was nothing left. It's great to see how well your fosters are doing. Must make you feel happy. Those pictures are all cute. I thought Booth was sitting on carpet decorated with paw prints for a second or 2. But the picture with the baby made my heart melt. I remember most of these guys from when they were honorary Lapdogs, and it's nice to see them so happy. How wonderful that they send you updates! I often think about the shelter dogs I've known, and wonder what they're up to in their new homes. 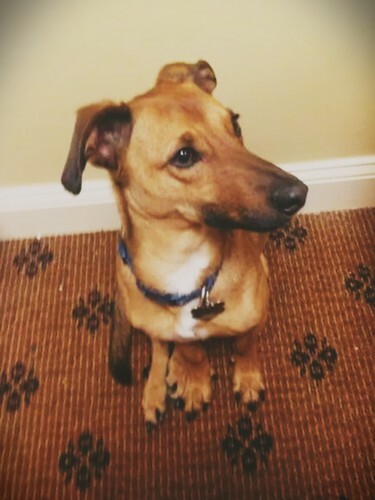 PepiSmartDog: what a great post! Love seeing rescued pals re-homed and its even better when years later these pals are still loved in their forever homes. We greatly appreciate you supporting our hop each week and look forward to visiting your site each week too.